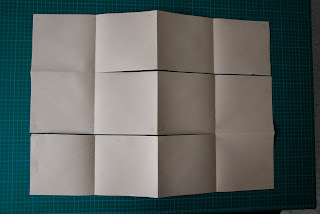 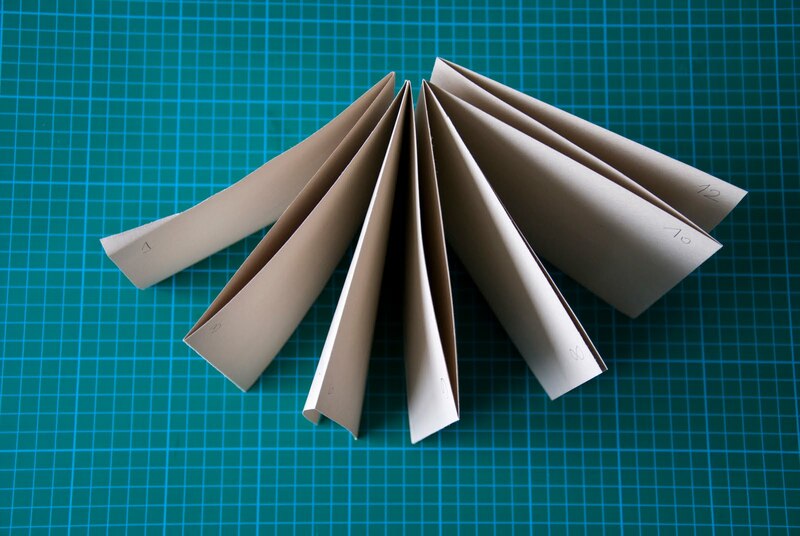 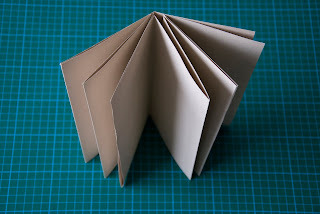 All the ideas and tryouts lead to the use of the most simple form, where the booklet is created from one single sheet just folding it in a certain way with a cut or two. So I was looking to create 12 sections to reflect on my 'puzuri' as each unit consists of 12 straw pieces. 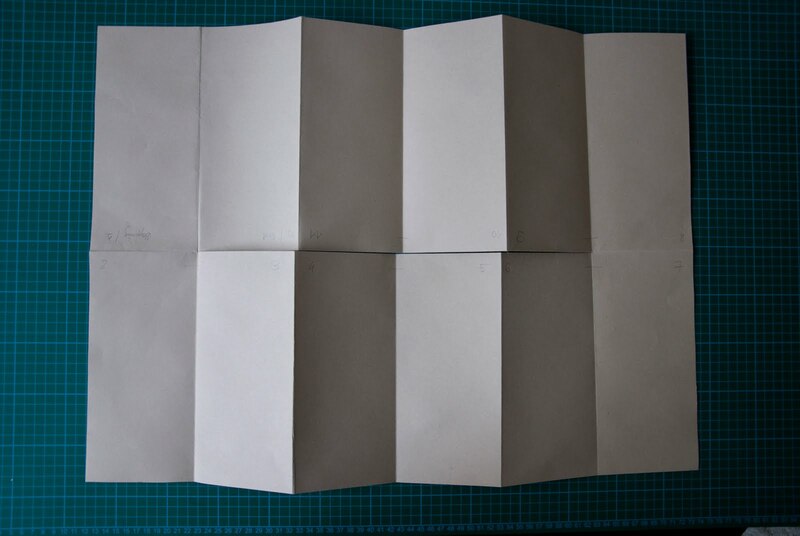 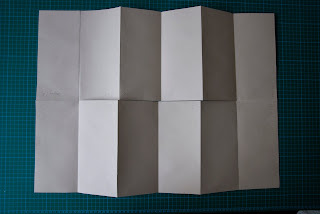 I started with a single piece of paper and found 2 ways of folding each reflecting on the square shape in a single page or a spread that I thought was another good way how to indicate the connection with the shape of 'puzuri'.